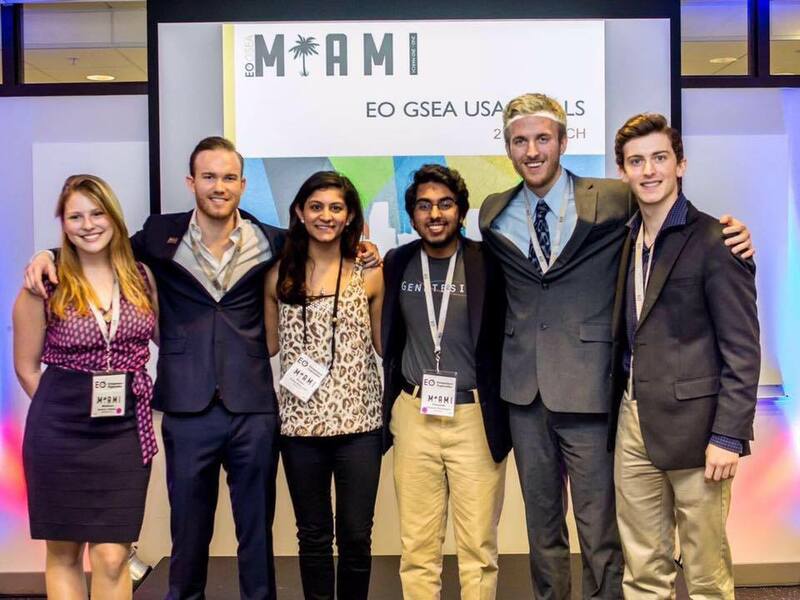 David Head, senior entrepreneurship student, competed at the Global Student Entrepreneur Awards in Miami and placed in the Top 5. He was selected by Entrepreneurship Organization Nashville to represent Nashville as the top student entrepreneur in the city and the only representative from Tennessee. Head’s business, DesignLive, provides on-demand website design with a Squarespace professional through screen-share. The website allows users of do-it-yourself website builders to hire a professional web designer to help them finish their sites when they get stuck. Customers can book one of the designers as soon as the next day for as little as an hour, and designers work on customers’ sites with them through a video conference screen-share that they can record for learning purposes. For the competition, Head presented a 12-minute-long pitch shark-tank style, and then a group of judges asked questions before sending him to the next round of six and ultimately 25 judges in round three. There were 24 other entrepreneurs from various places around the globe including Silicon Valley, St. Louis, Austin, Chicago, Boston, Atlanta, Orange County and Washington DC. DesignLive was picked to advance to the final round. Although the company didn’t win, Head did receive a $3,000 accelerator program paid for through Entrepreneurs Organization. Now, Head says his company will continue helping as many people as they can launch their websites. Head has always taken interest in entrepreneurship, from taking on potato gun projects as a kid, to the previous company he started, Digify, to the current project he is working on now with friends from Vanderbilt. Belmont’s program is allowing him to find new opportunities to live out these skills, including winning the Pitch Competition in November. “The Entrepreneurship Program is phenomenal. Dr. Cornwall has been a blessing to have as a mentor and has helped provide a lot of clarity and sanity to me. Exectutive in Residence Joe Calloway has been tremendously helpful in learning leadership. Director Elizabeth Gortmaker has been a crucial piece of support for us in helping us leverage the Belmont community and ecosystem to make our business more successful,” said Head.